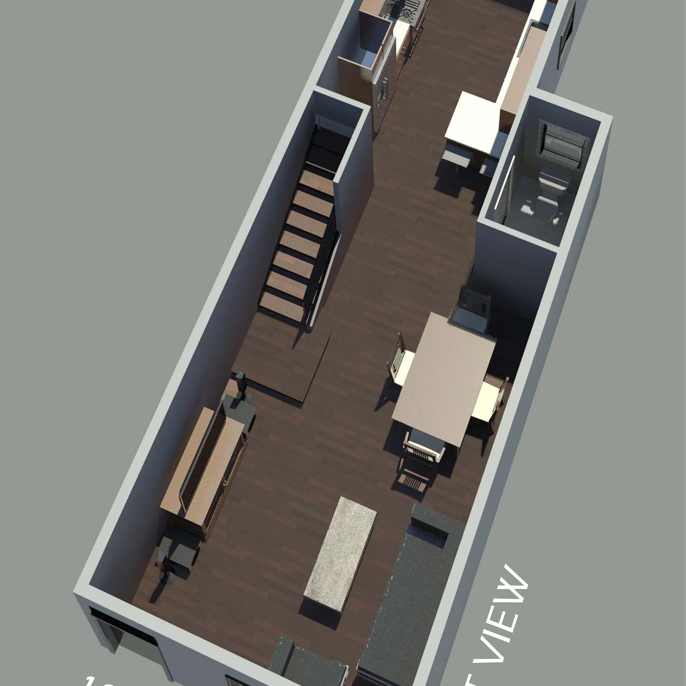 Design for the interior renovation of an existing 2-story row home in Philadelphia. The inside of the home was reconfigured, and interior renderings and 3D axonometric views of the plan were developed for marketing purposes. The exterior street view suggests cosmetic changes to help bring the home back to its former appearance, in keeping with the rest of the character of the block.